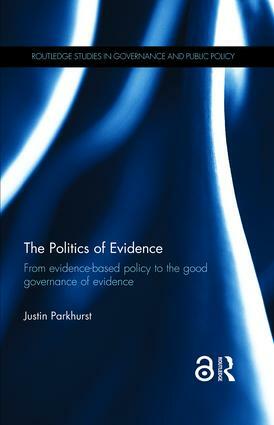 In The Politics of Evidence: From Evidence-Based Policy to the Good Governance of Evidence, available open access, Justin Parkhurst provides a detailed synthesis of the debates surrounding evidence-based policy (EBP) as well as a governance framework for managing EBP. This is a comprehensive overview of the advantages and limitations of this approach that offers constructive insight into ensuring the judicious and careful use of evidence, writes Andrew Karvonen. The Politics of Evidence: From Evidence-Based Policy to the Good Governance of Evidence. Justin Parkhurst. Routledge. 2017. The notion of “evidence-based policy” (EBP) is intuitively logical. Who could argue against using “what works” to govern society more effectively? EBP calls for policymaking to be informed by real-world evidence rather than guesswork, norms, opinions, influence, or hunches. Meanwhile, its critics argue that the EBP approach depoliticises policymaking by overemphasising the seemingly objective and apolitical character of evidence. They warn that an overreliance on evidence to inform policymaking will result in technocracies with experts steering society through the production, selection and application of evidence. EBP is alluring because it promises to address the gap between research and policy. It provides clear opportunities to transform knowledge into action by applying research findings directly to the policymaking process. This is both a blessing and a curse for researchers because it has the potential to make their findings more relevant to society, but it also opens up their work to accusations of political influence. Meanwhile, the multiple steps of gathering, assessing, and utilising evidence are not nearly as straightforward as one might assume. Parkhurst notes that EBP has been very effective in the field of clinical medicine because of the generalisability of findings related to human physiology. However, evidence becomes much more problematic and contentious when this so-called “medical model” is applied to complex social policies where social norms and values are contested. One of Parkhurst’s key arguments is that politics is an inherent and unavoidable characteristic of EBP. He notes that evidence is commonly used in partisan arguments where “both sides use their preferred evidence to try to influence policy decisions and both may claim to therefore be pursuing an ‘evidence-based policy’ in their opposite policy positions” (71). This suggests that evidence does not “speak for itself” but is rather part and parcel of political processes that involve trade-offs and differences in values. However, evidence is unique from other policy tools due its emphasis on measurement and the production of empirical findings. As Parkhurst notes: “Evidence serves as a tool of measurement. It can help identify who will benefit from different choices or how much different benefits will accrue to different groups” (9). Thus, EBP is helpful in addressing “how” questions, while being less effective at addressing “why” questions that involve the negotiation of social values and norms. 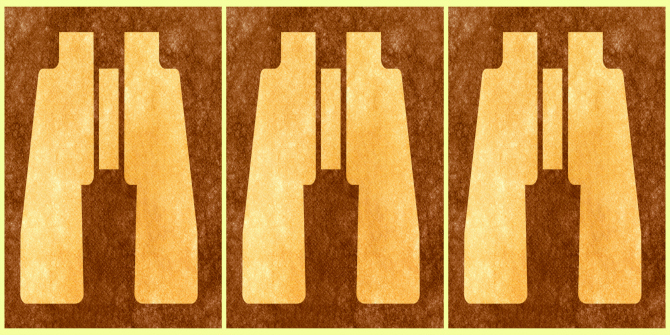 Image credit: Sepia Grunge Sign – Nature Study Area by Nicolas Raymond. This work is licensed under a CC BY 2.0 license. One of the most surprising (and worrying) chapters of the book draws on the field of cognitive psychology to explore the “subtle politics” of gathering, selecting and applying evidence. Unlike the explicitly partisan use of evidence described above, individuals also exhibit unconscious (and often unintentional) biases upon evidence based on their background, education, and social status. These cognitive biases can even result in individuals misleading themselves at times. This highlights more pervasive abuses of evidence that are difficult to detect and address. Identifying and correcting cognitive biases involves individuals reflecting deeply on their own values and beliefs and also allowing for alternative perspectives from others to reveal and counter these assumptions. Throughout the book, Parkhurst develops a comprehensive framework to use evidence to govern more effectively. This includes multiple steps to create, select, and interpret evidence judiciously in the service of policymaking. Drawing upon the work of John Dewey, Jürgen Habermas, George Lakoff, Sheila Jasanoff, and others, Parkhurst sketches out a pragmatic mode of collective problem-solving where evidence is used appropriately by encouraging accountability and transparency while also allowing opportunities for contestation and disagreement. His approach resonates with those who call for a shift from evidence-based policy to evidence-informed policy that recognises evidence as one of many tools that can enhance policymaking processes. The challenges of EBP ultimately point towards a fundamental critique of institutions. Parkhurst notes that “in the EBP world, almost no attention has been paid to the legitimacy of the process through which evidence is applied” (30). More robust institutional arrangements and procedures are therefore required to guide the journey of evidence from its origins in research to its use in debates by policymakers. EBP highlights the perennial tensions between technocracy and democracy, between expert knowledge and social values. While evidence is not a silver bullet to realise good governance, it is one of several important approaches that can inform policies to better serve society.